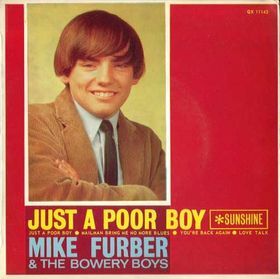 The story of Mike Furber is one of a star that shone brightly but briefly, and a tale which ultimately had a tragic ending for the shy, sensitive and naive young man who was chewed up and spat out by the frantic sixties Aussie pop music scene. Mike was born in London in 1948 and emigrated with his family to Brisbane at an early age. In mid-1965, at around age 16, he chanced to meet Paul Wade and Neville Peard on a suburban train journey, and got to discussing music and the fact that he was keen on singing. A friendship and alliance soon grew among the lads. Wade and Peard had already formed a garage band with Greg Walker and Robbie Van Delft that evolved into the Bowery Boys, and upon meeting Mike they invited him join as lead singer. It must be stressed that in the beginning the band was definitely a single entity, The Bowery Boys, not "Mike Furber and ...". It was only after flamboyant impresario Ivan Dayman spotted Furber and offered the young outfit recording and performing opportunities with his burgeoning Sunshine empire, that attention became more firmly focussed on the lead singer. 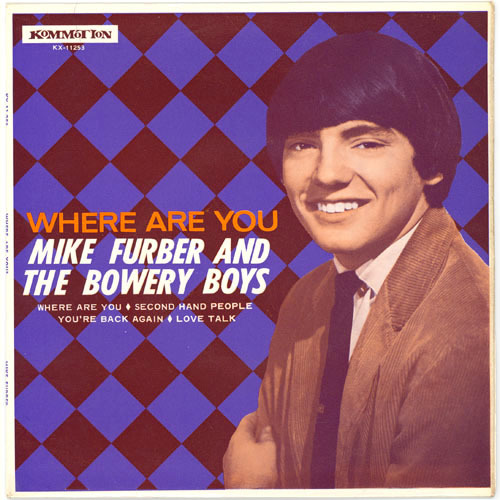 Dayman's intention was to establish Mike Furber as a pop idol in his own right along the lines of Normie Rowe, with whom Dayman had already achieved enormous national success. Writer, collector and pop historian Dean Mittelhauser (on whose article in Australian Record Collector much of this profile is drawn) doesn't have much good to say about Ivan Dayman's involvement with Furber ("boy, could I tell you a few stories about him!") and hints that Dayman was planning to to edge the band out of the spotlight and groom Mike for solo stardom more or less from the outset and intending -- hence, the billing as Mike Furber & the Bowery Boys. Mike had a limited vocal range but used his voice to maximum effect. Its deep timbre belied the cute and appealing "little boy lost" look portrayed in his promo photos. Here, certainly, was Dayman's future Rowe-style superstar in the making and, to paraphrase the old paradigm, "the little girls understood". Furber and band for a short time stormed national stages to a general response of screaming hysteria. 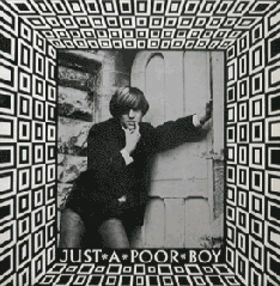 Beginning with the gritty and confident-sounding group-composed "Just A Poor Boy", the band achieved moderate chart success but attracted intent industry scrutiny. They followed up with a commanding cover of Graham Gouldman & the The Mockingbirds' "You Stole My Love" it sounds like the backing vocals on this one were provided by Sunshine labelmates Marcie Jones & the Cookies, though this assumption needs to be verified. A smart and tight single, nevertheless. Interestingly enough, this 45 was released concurrently on the Sunshine and Kommotion labels, territorially, although both issues had similar catalogue numbers and were, after all, pressed and distributed by parent company Festival. 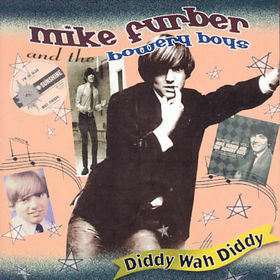 The third Mike Furber single, his last with Bowery Boys backing, was a tough, punkish stormer called "That's When The Happiness Began". Mittelhauser cites it as every bit as good as companion versions from Grains Of Sand (US) and The Montanas (UK). Its oft-overlooked flip, "You", is a cool punk ballad, if you can imagine such a thing. "A lot of the blame can be rested firmly at Mr Ivan Dayman's feet. He was already middle-aged and knew nothing about rock & roll. He continually pushed Furber while leaving the Bowery Boys out of television appearances and interstate tours. It's strange now to imagine, but we all think that Furber was a solo star and The Bowery Boys were a bunch of patsies who were just paid to back him. This of course is false, but it was exactly what Dayman wanted everybody to think. Well, he succeeded even though the guys from The Bowery Boys still thought of themselves as part of the whole box and dice and not just Mike Furber's backing band." 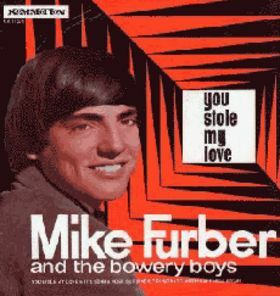 Although Mike released three solo singles during 1967, he seemed to have retreated into obscurity. Despite the patronage of Bee Gees supremo Barry Gibb ("Where Are You? ", "Second Hand People"), all three discs stiffed on the charts. Another single, covering Skip James' "I'm So Glad" (done in similar style around this time by Cream) failed as well, and things weren't helped by further lacklustre outings like "If You Need Me". Musical backing for this brace of tracks was provided by Brisbane outfit The Escorts, who also backed singer and future Uptight! host Ross D. Wylie in his early career. "There is no doubt that this is the best disc he has ever had. It could be the break he has been waiting for to put him right back on top." Despite this valuable coverage, and extraordinarily extensive promotion -- not to mention the magnificence of the single itself -- it sank without a trace. This disappointment was possibly one prompter for the first of a series of nervous breakdowns that poor Mike was to suffer. There is still much to be discovered about the fortunes of the Sunshine organisation, but it is probable that Mike's career slump was brought about by the collapse of Sunshine in 1967. It is known that Sunshine's house producer Pat Aulton suffered serious consequences, since Pat had reportedly been made a director of the company without his knowledge, and as a result he had his car and furniture repossessed. And indeed, Mike disappeared from public view for 18 months or so, only to emerge in 1969 with a fresh EMI Columbia deal. But was this to mean a form of settlement for Furber? Another mediocre chart performance with his EMI single debut, "There's No Love Left" was less than encouraging, but a further disappointment occurred with the follow-up single. Specially composed for Mike by Harry Vanda and George Young (anticipating their hugely successful "Evie" in 1973) the innovative "I'm On Fire" / "Watch Me Burn" was an ambitious two-part suite spread across both sides of the 45. However it failed to ignite the imagination of punters and programmers alike and was apparently withdrawn soon after release. Furthering his involvement with Albert Productions, in May 1970 Mike recorded two tracks for the company, "Helen Jane" and "Love Song" (the former written by Ted Mulry) but these were never released. "Mike Furber should also be placed in the 'embarrassing' category. 'What happened?' he asked. 'The last time I played Festival Hall it was packed'. Mike was referring to the reasonably small audience. This was amusing in light of the fact that Mike's admirers wouldn't fill an out-house. He summed up his sincerity when he stripped down to a lace see-through shirt to sing 'I'm A Man' like that. Groovy, Mike". From then on, the story of Furber's progress is a little clouded. We know that in the early seventies he did his stint of national service and this experience was apparently very traumatic for Mike. Yet after that, he returned to performing, and won good notices in the stage production of Godspell. In 1973 Mike won a role in the rock musical Nuclear (written by Brian and Carole King from The Executives) but he was sacked from the production soon afterwards. It has been claimed that this plunged Mike into into a deep depression but his friend, bassist Bob Daisley, says that although Mike was disppointed by losing the role, he continued working, and that there was no indication that he planned to take his own life. MIke died in mysterious cirucmstances on the 10 May 1973, aged only 25. It is alleged that he hanged himself in the garage of his Sydney house, but there have been persistent claims that Mike was murdered as a result of underworld entaglements. Dean Mittelhauser detailed some of these conspiracy theories. A recent Melbourne newspaper article commemorating Mike's 60th birthday reported that his family and friends (such as musician Bob Daisley) still believe that Mike was murdered, and refute claims that he killed himself. "Just A Poor Boy" / "Mailman Bring Me No More Blues" // "You're Back Again" / "Love Talk"
"You Stole My Love" / "It's Gonna Work Out Fine" // "You" / "That's When Happiness Began"
"Where Are You?" / "Second Hand People" // "You're Back Again" / "Love Talk"
"It's Too Late" / "I'm So Glad" // "If You Need Me" / "Take This Hammer"
"Mailman Bring Me No More Blues"
Producer on Sunshine releases: Pat Aulton. The complete Mike Furber / Bowery Boys anthology, released as part of Festival's 50th anniversary reissue series.